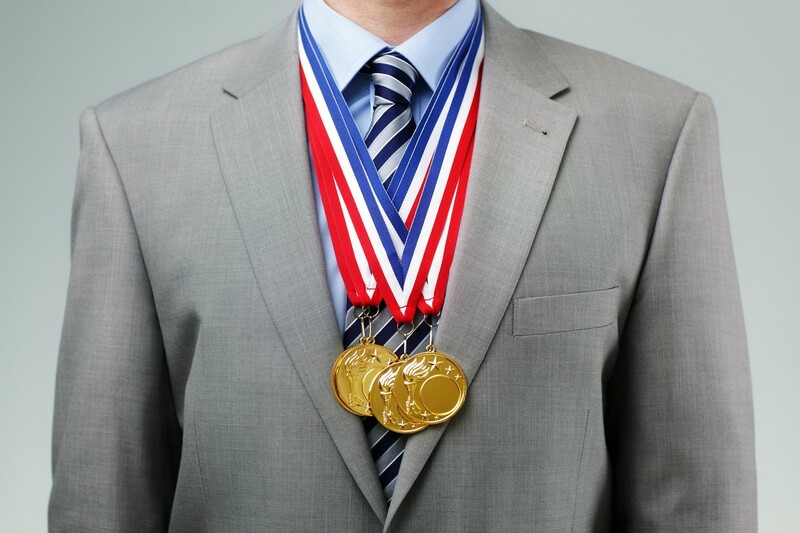 There are many parallels between winning a gold medal and being an entrepreneur. The same can be said of owning a business. Desire is possibility seeking to express Itself in you, through you, as you. Everyone has had the experience of feeling the desire to do or be something greater than their present state of reality, but not everyone acts on their desire. The unfortunate truth is that most people don’t allow their desire to be fully expressed for a variety of reasons including fear or perhaps not feeling worthy or deserving of having what it is that they want. Desire, when it’s in full-bloom, is like a raging fire that consumes you and drives you to take the necessary actions needed to transmute possibility into probability. A burning desire to be the best in the world and to set an Olympic Record is what fuels every olympic athlete. And a burning desire to make a significant difference in the lives of others, whether it’s through a product or service, is what fuels every successful entrepreneur. Without belief in the possibility that desire brings, it’s impossible to ‘bring home the gold’ because you’ll ultimately call it quits on your dream. Without belief, it’s too easy to make excuses about why it’s not possible, and to not take a stand for the vision that you’re being called to live. Just like an Olympian, you’ll need the belief that not only is your dream possible, it’s probable. It’s your steadfast belief that will weather you through the ups and downs that every small business faces. It’s easy to get overwhelmed by all the details of building and running a business. And when things don’t go as planned (as is often the case) it’s even easier to let that overwhelm turn into frustration and a sense of despair. Building a business, just like preparing to go to the Olympics, is a long journey that requires an ability to focus on the task at hand. That also means focusing on the right activity at the right time. Athletes focus on different conditioning activities in the pre-season than they do when they’re preparing for the championship game. In the same way, a business needs to focus on certain activities when they are in start-up mode and others when they are established. Focusing on the wrong activities at the wrong time, can make or break both the Olympian and the entrepreneur. There’s a difference between being interested and being committed to a desired outcome. Anyone can be interested in running a marathon or starting a business… but the leap from being interested to being committed is the key differentiator. When you’re committed, you have skin in the game. You invest your time, your energy, your money into making whatever needs to happen, happen no matter what it takes. Commitment means that you’re willing to do what others aren’t willing to do to make your dream a reality. Staying connected to the bigger purpose of your work in the world — why you do what you do — is essential to your commitment . Every goal, every vision has a gestation period. Michael Phelps, Serena Williams, Usain Bolt and every other Olympian didn’t get to the the games over night. Years and years of work preceded their gold medals. Patience, especially during the start-up phase of a business when things seem to take longer than they should, is truly a virtue because sometimes we can’t see the growth or progress that’s actually taking place. Just as when a seed is planted in the ground, from the surface, it seems like nothing is happening… an important and unseen growth process is unfolding. Far too many people quit because they don’t have the patience to wait through the gestation period of building a business or seeing a project to it’s completion. Trust that everything you’ve done, all the work you’ve put into building your business is having a compound effect. Have patience, remembering that although you may not be able to see the effects of your hard work in this moment.. it will come.